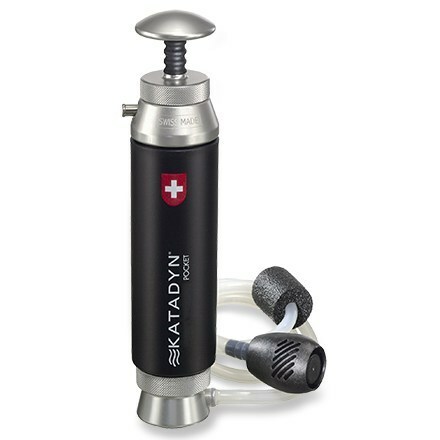 With the industry highest level of filtration at 0.01 micron, fast pumping action, and three-step replaceable filters this lightweight and compact filter is all you need for your backcountry trip water supply either by foot or by water. 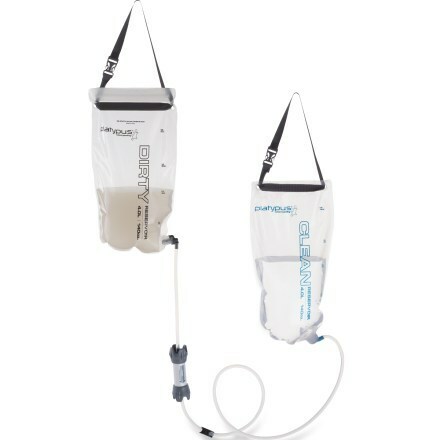 Being a strong proponent of filtration vs. chemical treatment and boiling I have tried and used different kinds of filters, both gravity and pump types, and Survivor PRO is my current filter of choice for three-season trips. 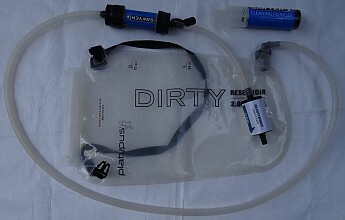 Water supply is my number one priority on any backcountry trip and I have considered and compared different choices of making backcountry water safe to drink such as filtering, boiling, and chemical treatment, and I have chosen filtering for three-season trips as being the most convenient, safe, and suitable for both backpacking and paddling trips. Until recently my filter of choice was a Sawyer Mini, but recently I have found, tried, and completely switched to Survivor PRO. 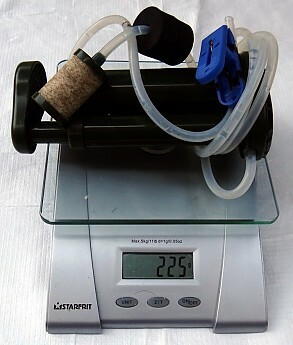 Below I will explain why and compare where possible to the Sawyer Mini filter. Survivor PRO is the safest filter among any competitors with 0.01 micron being able to filter any kind of bacteria and viruses. 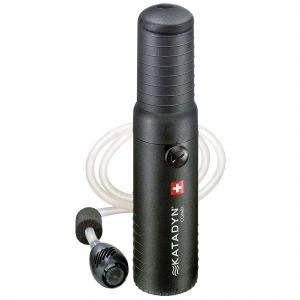 This is 10 times better than the Sawyer Mini or Squeeze with 0.1 micron. In addition it includes active carbon filter which helps with removal of taste, coloration, and some undesired chemicals. 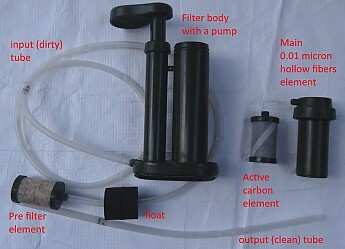 Sawyer Mini would need to be combined with a third party carbon filter. 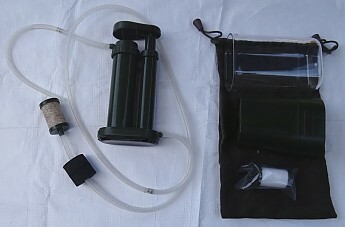 Plus it's a pump action filter, which means you can get water quickly and not wait for gravity to do its job. 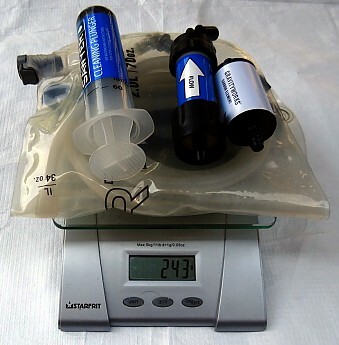 This is what you receive when purchase a Survivor PRO filter: an assembled filter with three filter elements, a bag, a cup, and a bonus replacement pre-filter element. 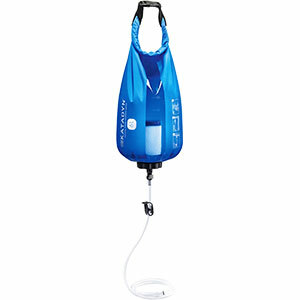 Survivor PRO is a pump action and normally you'd be able to do about one full action per second and require between 60 to 80 actions to filter about 32 ounces or 1 L of water. So about 1.5 minutes per a liter is pretty fast in my book. For a Sawyer Mini that would take much longer with both gravity method or squeezing. The manufacturer rates filter capacity at 1,000 liters before replacing filter elements, which is quite a lot considering that on a regular overnight trip I would filter about 10 liters of water for two people. So about a 100 overnight trips per single filter replacement cycle? Not bad at all. Besides the filter is completely washable so this usage could be even longer. Important to notice here that if filter gets clogged quickly, which happens with Sawyer Mini, it becomes less and less usable and that is what I like a lot about Survivor PRO vs Sawyer Mini: it does not get clogged as easily as the Sawyer Mini. In fact so far during my 6 trips this season it did not get clogged at all. But I do wash it after the trip the same way I did for Sawyer Mini just in case. 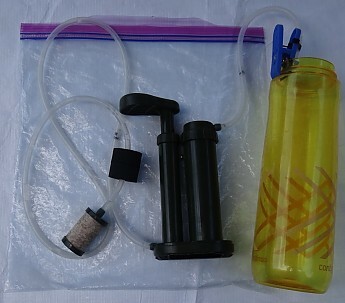 Pretty easy: I keep the filter in a ziplock bag fully assembled and I just grab it from a backpack with any water container, walk to a water source, and pump how much I need. Walk back and I am ready to go. 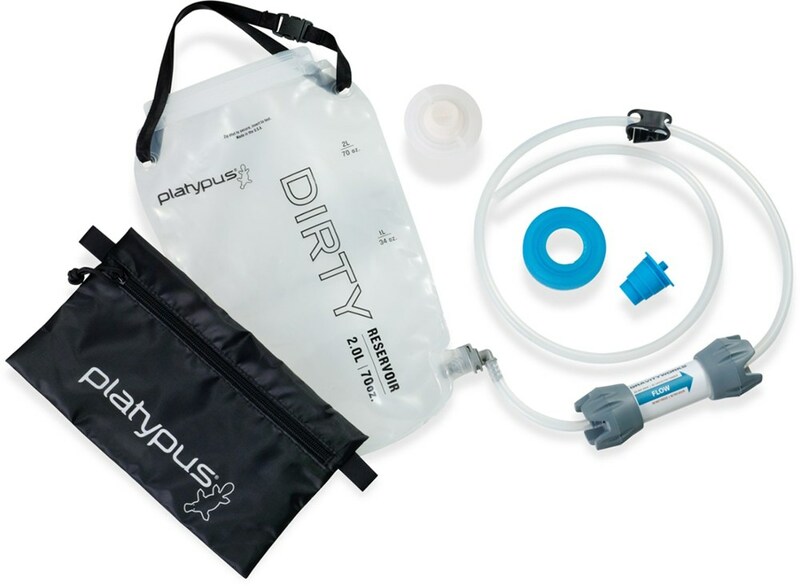 There are a couple of usability issues in the filter design: its bottom is quite slippery so sometimes it's hard to keep it in place while pumping; there is no way to attach an outlet tube to a bottle and both hands are occupied while pumping so once again it requires a bit of ingenuity while pumping. Luckily it's relatively easy to overcome both issues. Cover the bottom with some duct tape and it will be more stable on slippery surfaces. It's made from lightweight, hard, and seemingly strong enough plastic. Time will show if it lives up long enough. Filters are individually replaceable and easy to buy on Amazon, which makes maintenance simple and inexpensive. In the entire construction there is nothing that seem to be breakable or require any repair. It's made in China but is distributed and covered by a U.S. company that also has an office in Canada that is very responsive. I've used this filter from April through June so far on a number of backcountry trips and it holds up and works well. I have successfully tested it in winter in a running creek but made sure that after usage it did not freeze, which I suspect would be really possible in freezing temperatures. 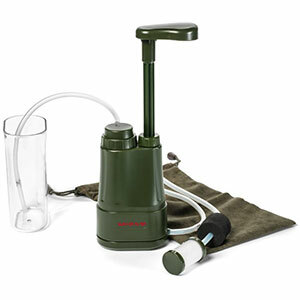 The final conclusion is: Survivor PRO setup is more lightweight than a Sawyer setup, it has much better filtration level, and it's faster and easier to use. Thanks for sharing such a thorough review, AT. I hadn't heard of this product yet. Where did you discover it? Alicia, I am a bit of a gear head so I am always on a lookout for new and improved equipment. I first saw this filter on YouTube and got curious. I did some research, contacted the manufacturer, found the filter on Amazon but it was not available in Canada yet. February this year I've seen the filter again at Toronto Outdoor Show and after talking to a dealer I was sold. Since then I've started sing the filter and so far I like it very much. Thanks, AT. It sounds like you're very happy with this find. I think I am, Alicia. So far I did not find any other filter in this price range with such abilities. I will review its performance once again at the end of the season, and I have many trips planned before it's over. Great! We'll look forward to hearing how it works out over the long term. The Survivor Filter PRO is not available from the stores we monitor.